Training Center for 25 years. 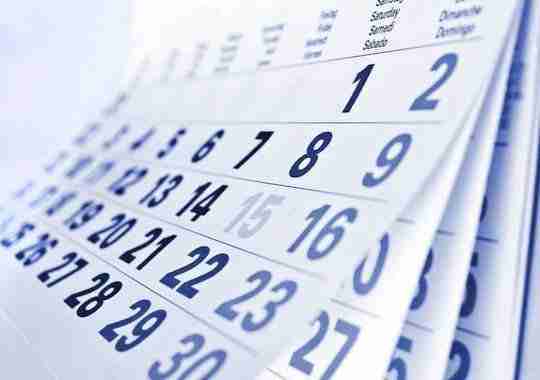 Our Classroom Calendar lists our courses and ways to register. Classroom training takes advantage of our experienced healthcare instructors. e-Learning takes advantage of technology to deliver courses. A.C.T.N.T. 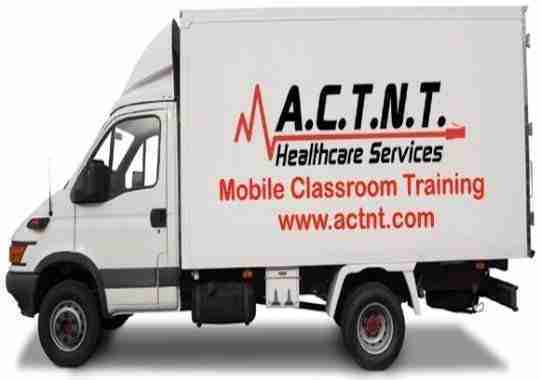 Healthcare Services delivers mobile education throughout Texas. Regular drills or mock codes — at minimum annually — are critical to ensure your staff is familiar with your emergency policies. 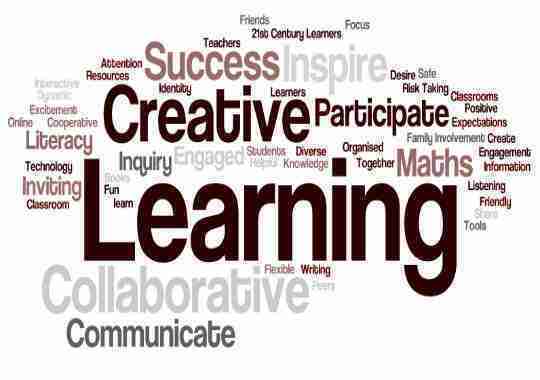 We provide a wide range of Education Services in Texas. 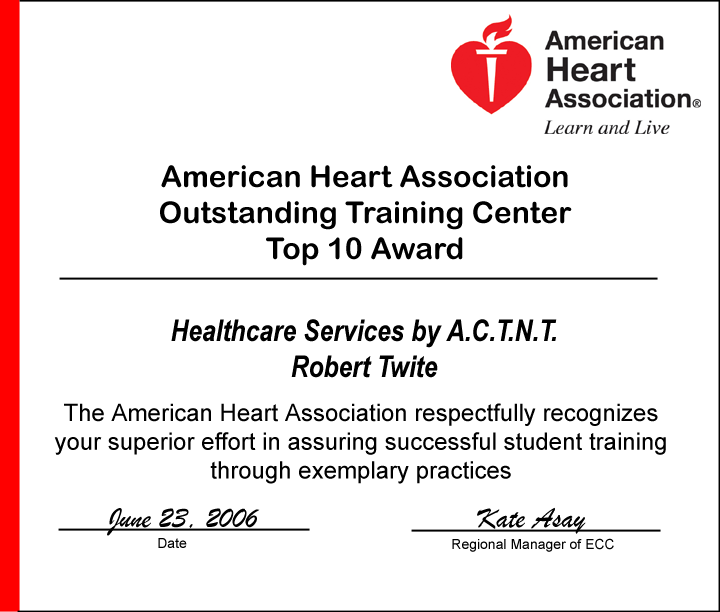 ACTNT Healthcare Services was recognized as a Top Ten American Heart Association® Training Center. I want to obtain my American Heart Association BLS, ACLS, PALS certification/renewal with an online course. Click on Shop in top menu, select E-Learning, select the appropriate Online Course. Purchase the Online Course (read instructions just below the “Add To Cart” button on how to access your course). After completion of online course, contact your local AHA Instructor to schedule your required AHA Skills testing. I want to obtain my AHA BLS, ACLS, PALS certification/renewal with a classroom course. Click on Class Calendar in top menu bar. Search for a classroom course by type and/or date. Click on calendar date for link to the course information. Go to bottom of course information page and and click on Register Here. Complete cart and payment to finalize registration. Can we teach AHA BLS, ACLS, PALS at your location? Yes, click on Mobile Classroom for more details. Do we use the new AHA eCards for BLS, ACLS & PALS? Yes, we exclusively use the new AHA eCards. The American Heart Association now requires all Training Center to transition to eCards. For instructions on how to obtain your AHA eCard, click here.